In this context, "oldschool" doesn't mean 70-80s, but more like 2004-2006. What is oldschool? the songs I'm posting today. Why? 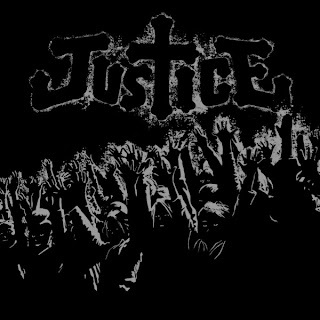 Because they were in some Justice set a couple years ago and they are still songs that I love listening to. You can easily recognize that they are songs Justice would play at I Love Techno for example. The first one today is Testarossa Overdrive, the remixed version of Testarossa Autodrive from Kavinsky, by Sebastian. I find it alot better if you're in DJing at all since it has more punch, more intensity. Although I find it better, if you wanted Kavinsky's "1986 in a sport car" style, the original version would be better for you. Here are the two versions, so see for yourself. Everybody knows about Surkin, right? That guy that brings this oldschool sound (real oldschool this time) to his electro tunes. Well Justice liked playing Radio Fireworks awhile back so here it is. Then there is this "African bongo song" that is pretty hot if you mix it with Testarossa overdrive (the remix). The bongos mixed with the bass makes an awesome track. GUESS WHAT'S THE NAME?! Bongo song. This entry was posted on Saturday, June 27, 2009 and is filed under Justice,Kavinsky,Les Petits Pilous,Sebastian,Surkin,Zongamin. You can follow any responses to this entry through the RSS 2.0. You can leave a response. Underground stuff? kay. And car boom boom. I LOVE YOU BUT I'VE CHOSEN DISCO.